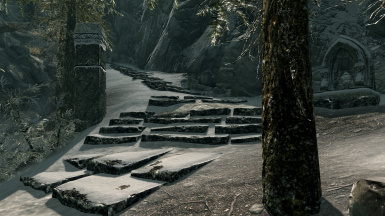 Upon the slopes of High Hrothgar sit the well-known and daunting 7,000 Steps, each of them weathered and truly ancient. One step in particular, however, is of special significance. 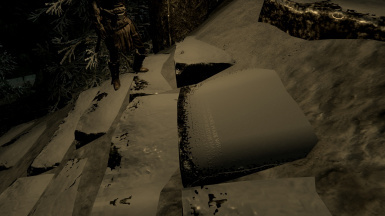 The second of The Five Songs of King Wulfharth tells us that High King Wulfharth (Ysmir) rebuilt the 418th step of High Hrothgar some time in the sixth century of the 1st Era when it had been damaged by a dragon attack. 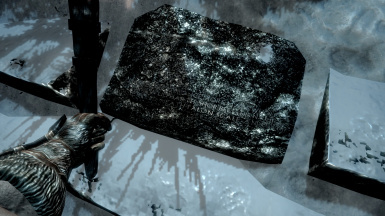 There is no evidence of this in-game, however, which I thought was strange given Wulfharth's direct connection to Talos. 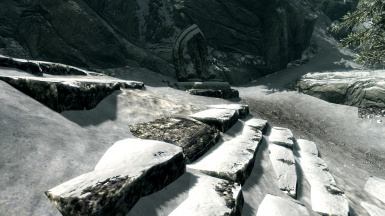 Such a step should be honored as a treasured artifact of a place where Talos himself once walked amongst men. 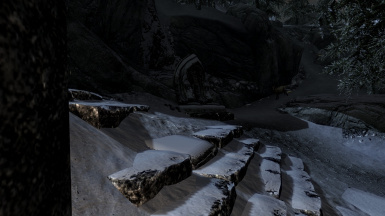 Incompatible with mods that edit the landscape of the path leading up High Hrothgar. 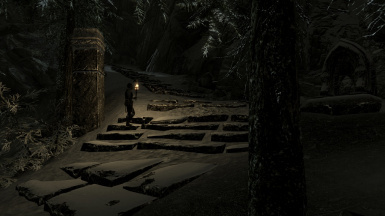 Incompatible with mods that edit the particular set of steps upon which the 418th step is situated. Moved the set of steps that are part of the steps that include Step 418 down under the ground, and set them to "initially disabled". 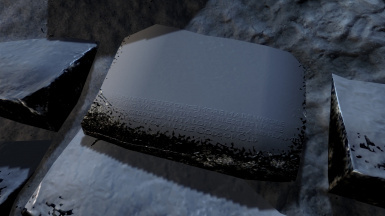 The texture for Step 418 is based on Bethesda's 1024x1024 texture from the official HD Texture Pack DLC. There is some minor room for improvement by adding a proper normal map for the added text, or even a displacement map. 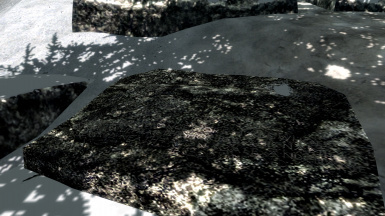 If you are a texture artist that can do something like this, I'd love to hear from you. Since this is such a simple mod, I will probably not be spending much time in the comments section here as I do with some of my more active mods. There's not much of anything to go wrong, so if clicking on the inscription doesn't work for you, there is something wrong with your installation, or a script extender is causing a problem for you. The script that brings up the inscription text contains only one event, with a single call to a message object. If that doesn't work, something is tragically wrong with your game. I hope this tiny lore mod adds a little more immersion to your game. Thanks, and enjoy.